CONTACT: You can contact KRL Reviews & News, a sister website to Kings River Life, via email at kingsriverlife@gmail[dot]com. Advertising for all websites below. Welcome to KRL Reviews & News, a California online magazine with a focus on the San Joaquin Valley and beyond. One of our goals is to connect people to their community by sharing stories about local entertainment, events, ministry and community service opportunities, our schools, local leaders and so much more. Since our readership has now expanded way beyond the San Joaquin Valley, we also have entertainment, literature, food and pet articles that appeal to anyone no matter where they live. We have a very strong mystery section and a growing fantasy/horror section as well, where we feature not only reviews of all sorts and author interviews, but also short stories. Kings River Life, and it's sister sites, were created by local journalist and published mystery author Lorie Lewis Ham who has been a part of this area for 50 years. With the help of many wonderful Valley area contributors and San Francisco webmaster Dorian Rhodes, this online magazine was launched on May 29, 2010. 1. Our first responsibility is to our reader to provide a quality product which adheres to our vision to entertain, inform and inspire. 2. Our responsibility to our staff is to be a team who works together to encourage and support one another not only in our work at KRL but also where possible outside of KRL by supporting each other's businesses, charities and artistic endeavors. And in regards to KRL to promote and read each other's articles where possible. 3. Our focus is on relationships: with each other, our readers, our advertisers, our community, our planet, and the arts. 4. To strive to be a green company, starting with being online only thus saving paper. 5. To never lose sight of our primary focus to make a difference with our content, while at the same time providing quality entertainment. 6. To donate 10% of all advertising income to animal rescue so that we are not only making a difference for animals by informing and educating through articles, but also in a tangible way and eventually extend that to other charities. 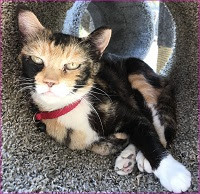 Note: 10% of all advertising money will go to one of several animal rescues--Cat House On The Kings in Parlier, Animal Rescue of Fresno, Valley Animal Center, Fresno Bully Rescue, Feral Paws Rescue Group, or Rattie Ratz in Clayton. (All in California) You can choose which rescue, or we can choose for you. 144 x 144 button ad provided by advertiser ready to go-$55 a month or 125 x 125 for $45 a month. This is probably our best selling and most popular ad. To purchase the prime spot with this ad near the top of the page, add an extra $10 a month. 144 x 400 vertical long button ad on far right sidebar- $65 a month or 125 x 400 vertical button on first sidebar for $55 a month. If you cannot provide your own ad we have an ad designer that will design one for you for a one time $20 fee as long as the ad does not change and advertiser provides logo or artwork ($40 if we have to create artwork)—with 2 revisions. Later this year we hope to be working with a graphics company who will also offer more ad design services--though at much higher rates. Links however can be easily changed without an extra fee. All ads include a link to your website/Facebook page. We are now offering the option of your ad also appearing on our sister book blog KRL Lite & on our new blog KRL Reviews & News. You can add this on to your ad on KRL's main site for another $20 a month. Or purchase just an ad on Lite for $30 a month-these will primarily be 144 x 144 ads and will be limited on how many we run. Ads on KRL Reviews & News will likely be wider and shorter. Publisher's note: We reserve the right to turn down any ad, or ad placement, that we deem not to be appropriate. We also often offer special discounts if you run your ad for multiple months--just ask.